Sometimes, in the modeling process the user can generate small modeling errors. Inside a structure that contains repetitive patterns, the small errors can be easily multiplied using the Copy/Paste commands. 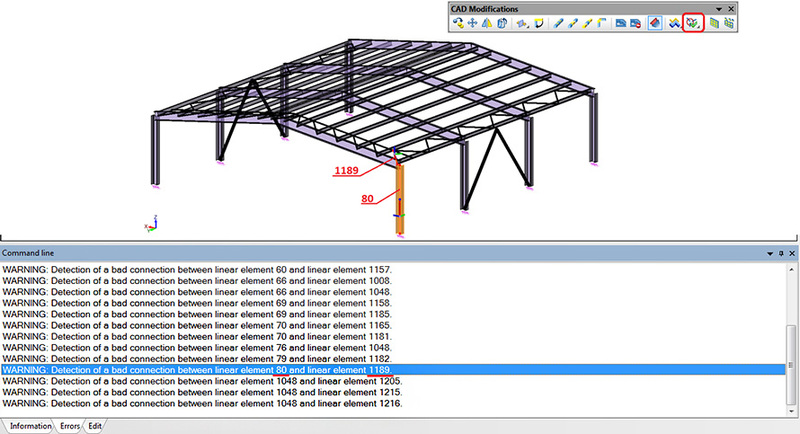 Finding those small errors inside such a model can be difficult and time consuming. This command will verify the connectivity between all the elements considered with their linear axis and compare it with the volume overlaping. 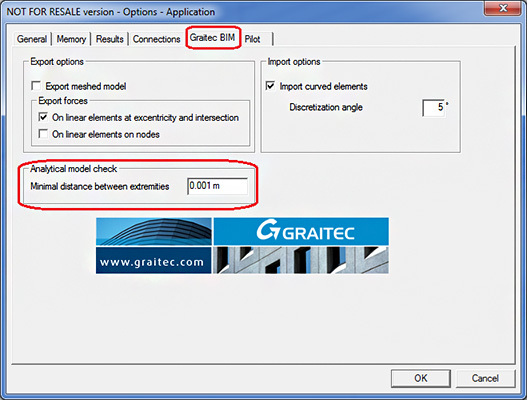 The program will identify all the linear elements that have volume overlapping and are not connected by their axis. Once they are identified, the user can correct the linear element intersections.